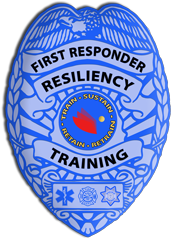 FRRI Announces 2nd Sold Out Conference – First Responders Resiliency, Inc.
SANTA ROSA, Calif., January 11, 2019	(Newswire.com) – First Responders Resiliency, Inc., a nonprofit dedicated to training first responders to cope with the emotional trauma of their job, is pleased to announce their second training conference in Sonoma, Calif. at Westerbeke Ranch. The conference starts tomorrow, on Jan. 12, and ends on Jan. 14. The training session is completely subscribed. 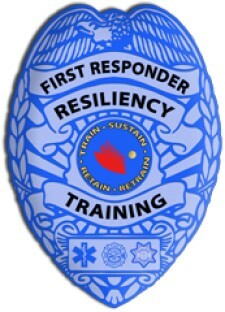 First Responders Resiliency, Inc. addresses every component of the issues affecting first responders with their unique, multi-faceted approach of implementing education, skills, techniques and tools that have profound impacts on stress reduction and management, thus improving the professional and personal lives of those that serve. The organization implements and leverages everything in their approach, from techniques used by the Navy SEALS, to the most recent research provided by neuroscientists and elite athletes alike. Susan Farren, a founder of First Responders Resiliency, Inc., states, “We’re delighted to kick off our second sold-out first resiliency training conference today. We have a great program on tap for our first responders, and we are looking forward to the few days. Physicians, military personnel, firefighters, paramedics, trauma therapists and police officers have gathered together to present information on the psychological, neurological, physical, emotional and relational impacts experienced by first responders. She noted that all of the presenters and instructors for each of the training conferences is a current or former first responder, like herself, and therefore is intimately familiar with the emotional struggles of emergency personnel. Attendees include police officers, doctors, nurses, firefighters, paramedics and dispatchers. First Responders Resiliency, Inc. is a nonprofit organization dedicated to the psychological, physical and emotional well-being of first responders. Founded and run by first responders, the organization provides comprehensive, holistic and proactive training to equip first responders to become more resilient both on and off duty. Research and science are the foundation of this program and support every component of the human system assisting both first responders and their families. Learn more at https://resiliencytrainingcenter.com and you may contact First Responders Resiliency by email at info@resiliencytrainingcenter.com if desired.